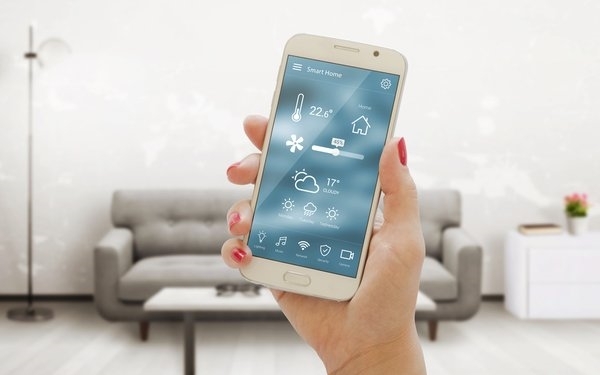 The smartphone continues to be the main hub for smart homes, based on a new study. A majority (89%) of consumers see the smartphone as a controller of home products and services, an increase from 70% in 2015, according to the study, comprising a survey of 1,000 U.S. consumers, balanced for age, gender and region, conducted by GfK. Smart speakers were well behind smartphones among devices. The key devices for controlling the smart home are smartphones (89%), personal computers (69%), tablets (51%), voice-enabled digital home assistants (41%), smart TVs (31%) and wearables (18%). While smartphones are the most used device in the home, using smart TVs has increased from 30% in 2015 to 41% now, according to GfK. The majority (68%) of consumers say they want to connect and service their smart home products themselves, the seamless integration and connection could be a plus for smart speakers like Amazon Alexa and Google Home. More than a third (35%) of consumers cited personal privacy as a concern surrounding digital home assistants. For most other smart home devices, the top barrier to purchase was cost.